Browse the most delicious and easy-to-make Smoothie recipes on the web. 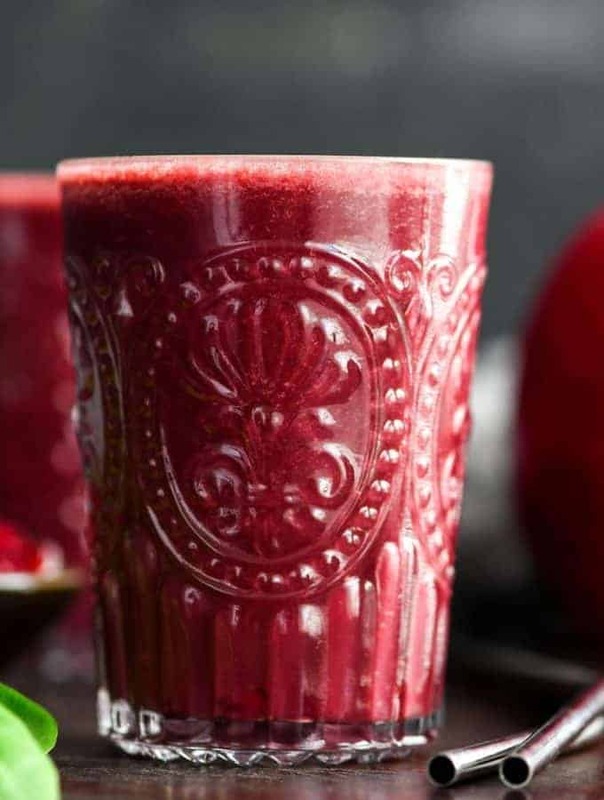 From Dairy-Free Chocolate Peanut Butter Green Smoothie to Blueberry Green Smoothie to Citrus Green Smoothie, we have healthy smoothie recipes that make a perfect breakfast, lunch or snack! 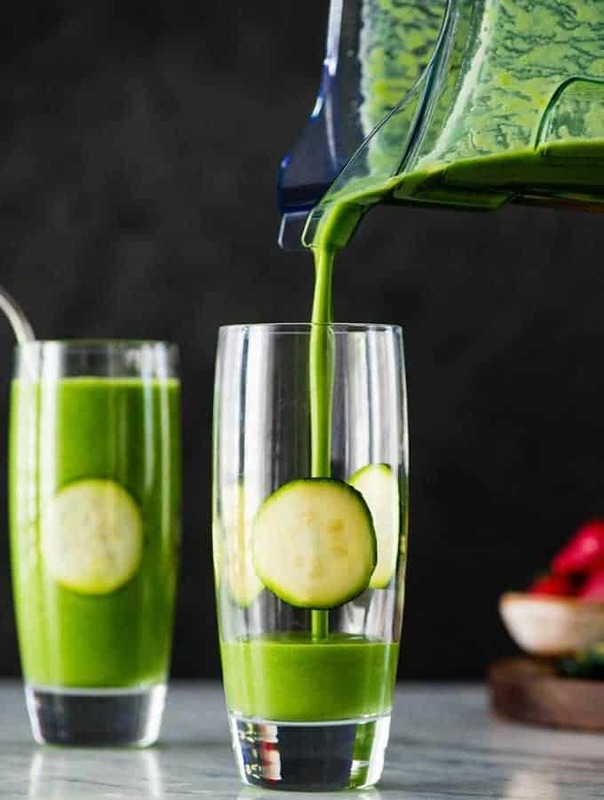 This Zucchini Smoothie Recipe is the perfect way to use the abundance of zucchini growing in your garden this summer! It’s made with only 7 ingredients and comes together in less than 5 minutes! Plus it’s gluten-free, dairy-free, paleo and vegan with no added sweeteners! This Dairy-Free Chocolate Peanut Butter Smoothie with Spinach is a nutritional powerhouse that tastes like a liquid peanut butter cup! 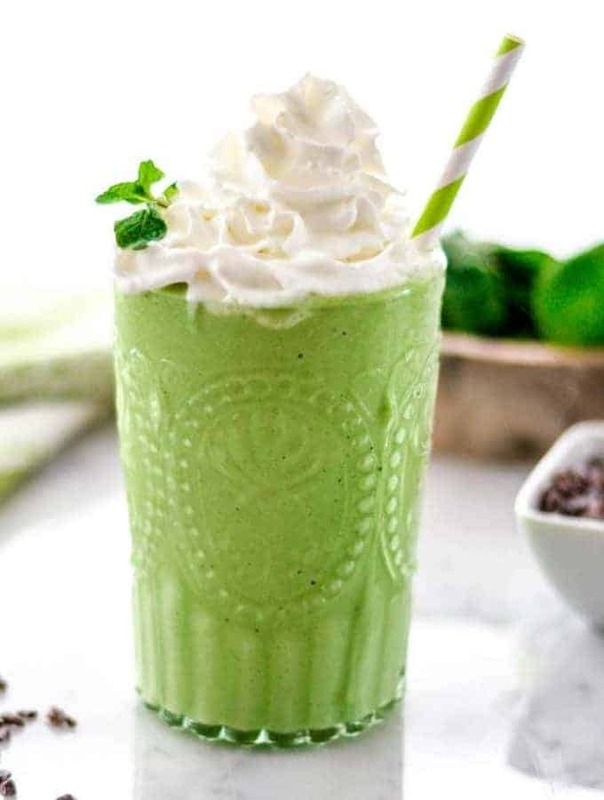 This Healthy Shamrock Shake recipe is made with 8 nutritious ingredients like avocados, spinach & Greek yogurt & is ready in 5 minutes! The perfect St. Patrick’s Day treat! 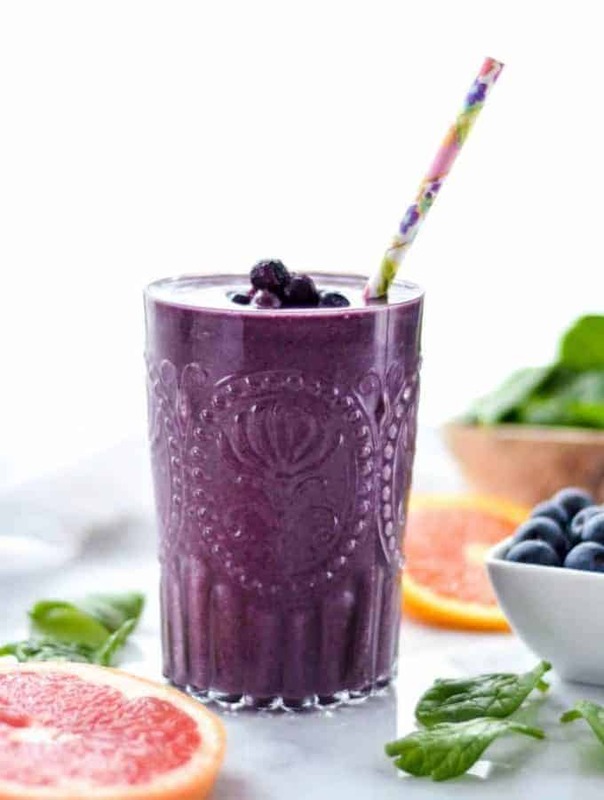 This Blueberry Citrus Smoothie with Spinach is made with only 7 ingredients and is ready in under 5 minutes! 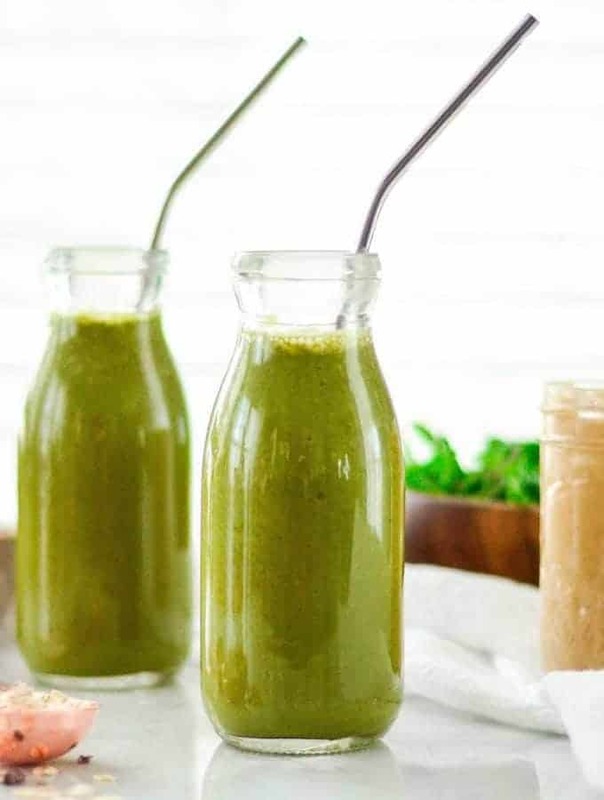 Packed full of antioxidants and Vitamin C, this delicious green smoothie is gluten-free, dairy-free, vegan and paleo, making it an amazing breakfast or snack! 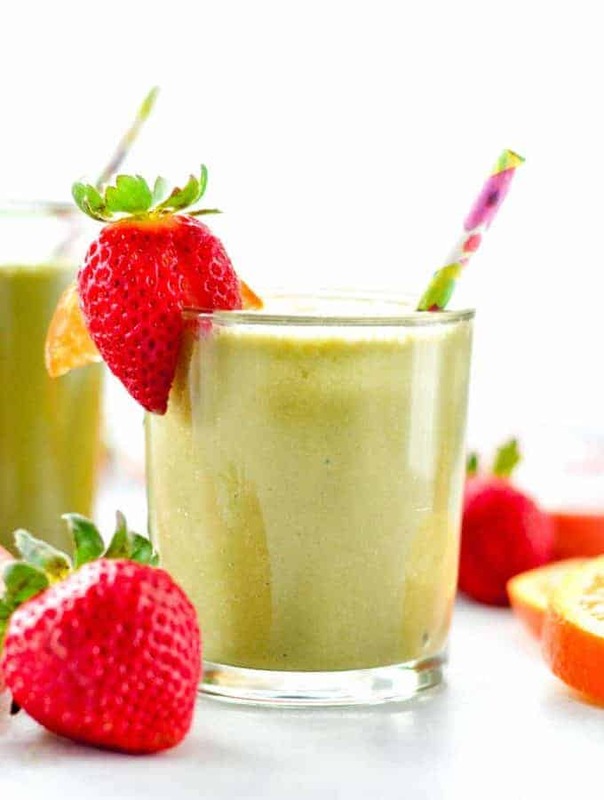 This Citrus Green Smoothie Recipe is an amazing healthy breakfast or snack! 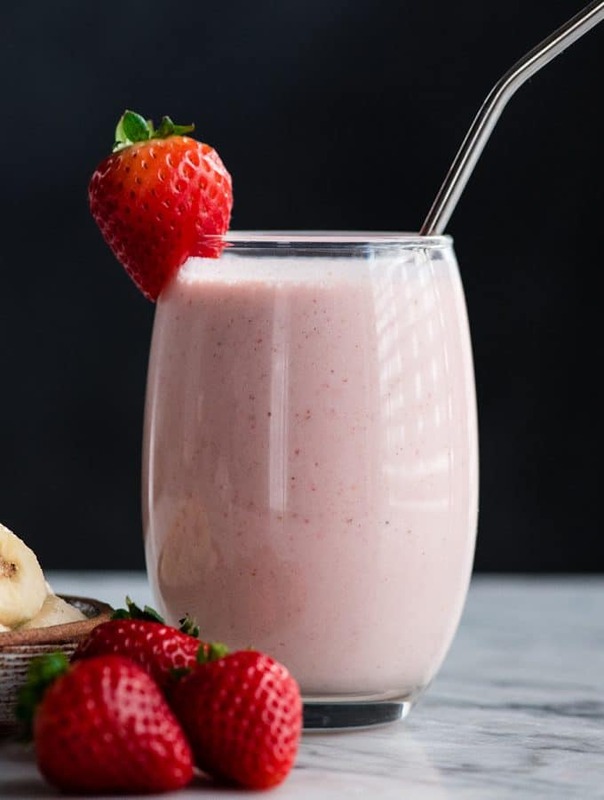 Packed with grapefruit, oranges, bananas & strawberries, it’s a plant-based, clean eating smoothie recipe that is packed with flavor and protein!